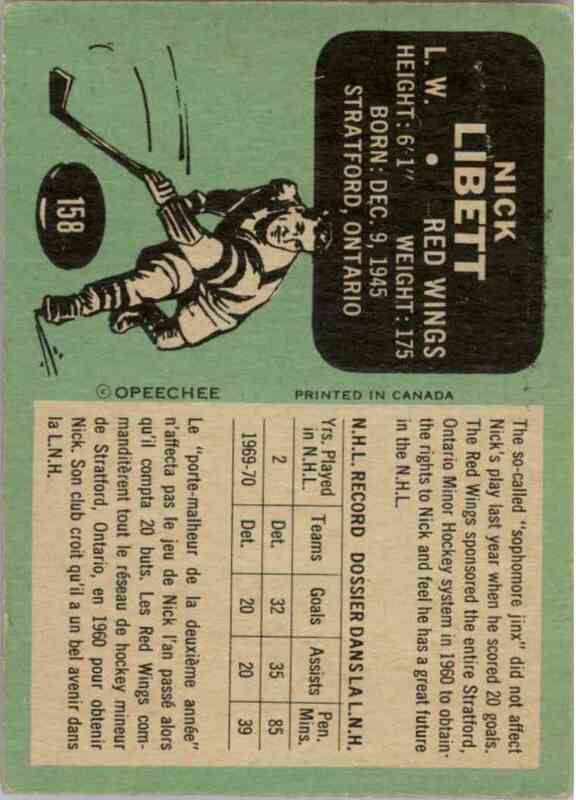 This is a autographed Hockey trading card of Nick Libett - Good Due To Crease, Detroit Red Wings. 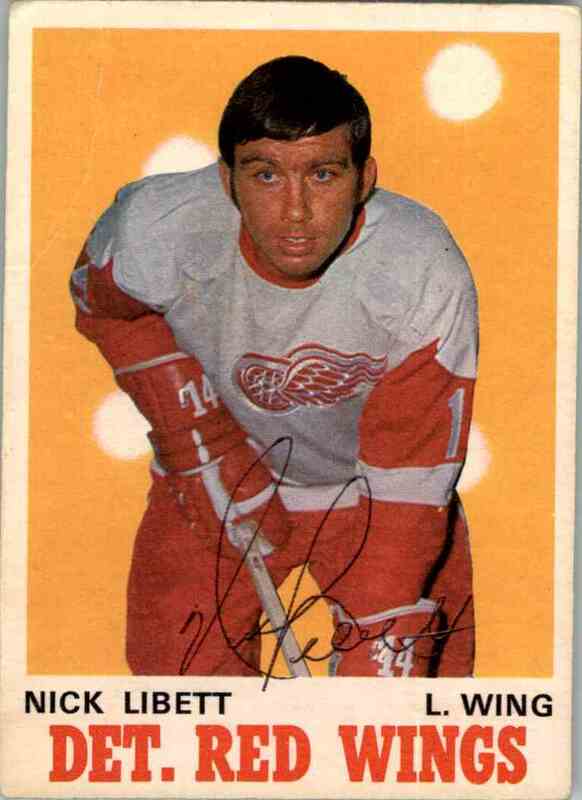 It comes from the 1970-71 O-Pee-Chee set, card number 158. It is for sale at a price of $ 10.00.